Since dominating the Seattle Seahawks in October of 2014, the Dallas Cowboys offensive line has been referred to as the best unit in football, almost by default. 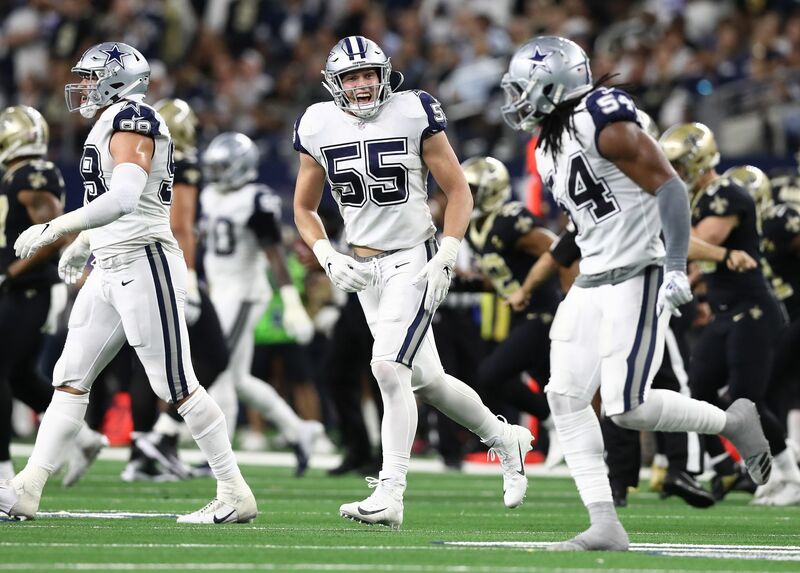 No matter the next opponent, everyone recognizes and acknowledges that the Cowboys have a chance to control the game on offense due to their powerful five up-front. Well, this weekend, two of those five departed Dallas for good. Ronald Leary, who started the entire 2014 season and much of the 2016 season, signed a nice contract with the Denver Broncos. And, Doug Free, a starting tackle for Dallas since 2009, announced his retirement. Now, a unit which has been characterized by its continuity and dominance is facing some adversity. Or at least it seems. How Do the Cowboys Replace Ronald Leary? This one is simple. Back during the 2015 NFL Draft the Cowboys made two moves which are proving to be incredibly important to their success in 2017. The second of those two moves was signing undrafted free agent offensive lineman La'el Collins. The former LSU star tackle was projected to be taken during the first two rounds, before being tied in with a police investigation. As it turned out, Collins had nothing to do with the crime, but teams were still afraid to take him on draft day. Collins fell, and the Cowboys pounced. After taking over the starting left guard job from Leary in 2015, Collins flashed the spectacular ability which draft pundits had predicted he'd have. 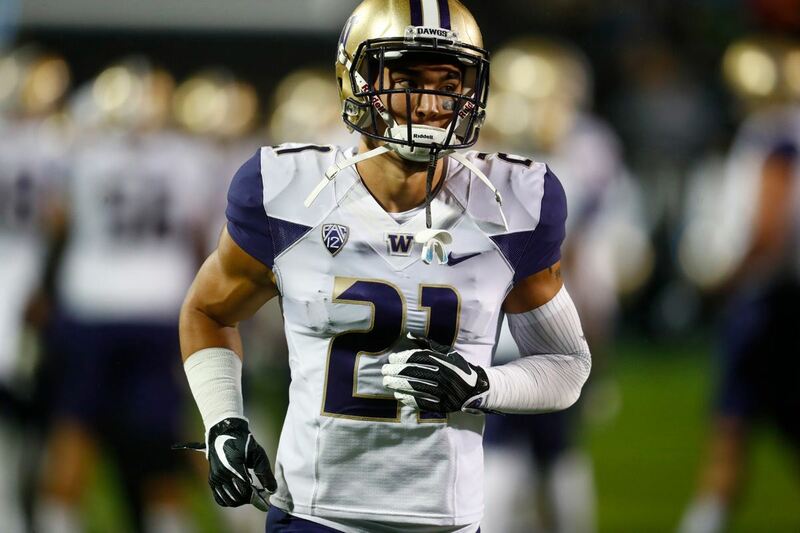 Though he certainly had his issues in year one, Collins' athletic ability and pure power put the entire league on notice, and had fans excited to watch him play in 2016. Unfortunately, Collins suffered a severe toe injury during the Cowboys' week three game against Chicago and missed the rest of the season. It has even been reported that Collins suffered this injury before the season, and he simply played until he couldn't play anymore. If true, it would explain his inconsistent play through the first two games of the year. While Collins was the starter for the first three games of the season, inserting Leary led to a clear improvement of the offensive line. The fact is, Leary was the better player in 2016, but that certainly doesn't mean that Collins won't surpass him next year, and beyond. As long as he can stay healthy, I see no reason why Collins should not continue to improve and become the player everyone has envisioned he can be. At LSU, Collins was a consistent force, and someone who rarely made mistakes. He played with incredible pass blocking technique, and ran block with an edge of nastiness that you love to see in offensive linemen. Now in year three, it's time for La'el Collins to bring that to Dallas, and become a force on the Cowboys' offensive line. How Do the Cowboys Replace Doug Free? This is where things get a bit trickier. First thing's first, Doug Free's retirement frees up about $5 million in cap space in 2017. If any free agent tackles interest the Cowboys, even if just for depth/security, they will be able to make that move. I, however, don't expect any rash decisions to be made through free agency. Apparently, the Cowboys knew of Free's plans to retire from the start of the free agency period, so if they haven't contacted any tackles by now, it is hard to imagine they're rushing to the phones at this point. So instead, we look to two places; the current roster and the NFL Draft. The first of the two critical offensive line moves of the 2015 NFL Draft, former third round pick Chaz Green is now slated to be the starting right tackle for Dallas in 2017. Back in January, I discussed why Chaz Green was so critical to the Cowboys' roster. And, most importantly, why his health is absolutely critical. When Tyron Smith was forced to miss some time earlier in the season, Green filled in and played rather well. The running game did not miss a beat, and in pass protection, the Cowboys remained stellar. Of course, there was some drop off from the best tackle in football to a first-time starter, but overall I was pleased with Green's play. He seemed to be fluid in his kick steps, delivered better punches in pass protection than I had seen him deliver, and worked well with Ronald Leary on deuce blocks on zone running plays. While he looked serviceable, Chaz Green certainly did not look like another All-Pro on the Cowboys offensive line. But that's okay. As a third round pick, however, he was drafted to be the successor to Doug Free. Now is time for him to either come through or potentially get labeled as a bust. After La'el Collins went down in September, the Cowboys signed little-known Emmett Cleary to fill some roster space on their offensive line. Nobody expected Cleary to ever take a game rep for the Cowboys offensive line, but when filling in for Tyron Smith during the season finale, Cleary was impressive. Staff Writer Sean Martin reviewed Cleary's game tape from that loss to Philadelphia, and came away just as impressed as I was. What stood out to me was Cleary’s intelligence at the position, knowing how to set up defenders when he was forced to compensate for a lack of physical skill. As a point-of-attack-blocker, Cleary controls blockers with a strong base and can move them off the line of scrimmage. To be honest, Cleary was the better of the two Cowboys tackles that day, with the recently retired Doug Free getting shredded by Brandon Graham snap-after-snap. Is Cleary going to make "top tackle" lists any time soon? No, probably not. But he can be a solid fill-in player who will be put in the perfect position to succeed here in Dallas. Playing next to three other Pro Bowlers, and directly beside Zack Martin (who may be the best offensive lineman in the entire league), the right tackle does not need to be another stud. Considering that their other four linemen don't need much help at all in pass protection, Dallas can afford to give some tight end help, or chip with a running back on the right side. Because of this, both Chaz Green and/or Emmett Cleary should be absolutely fine at right tackle. 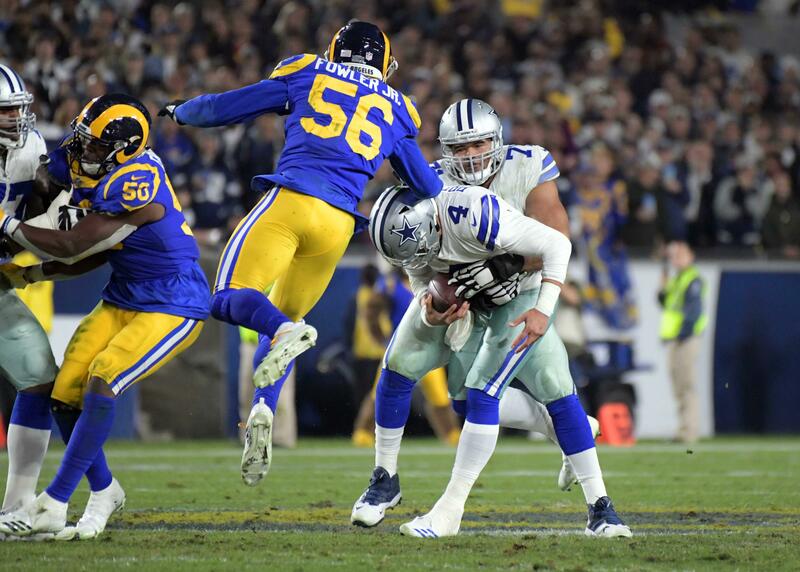 Similar to how people called Dallas the perfect place for a rookie quarterback to shine due to the weapons and security around him, it is also the perfect situation for a new right tackle. So, despite all the flux on this Cowboys offensive line this past weekend, there is no reason to fret. Dallas still features stars Travis Frederick, Tyron Smith, and Zack Martin. They still have one of the best running backs in the league running behind them in Ezekiel Elliott. And, they have some pretty good replacements to fill-in for Ronald Leary and Doug Free. 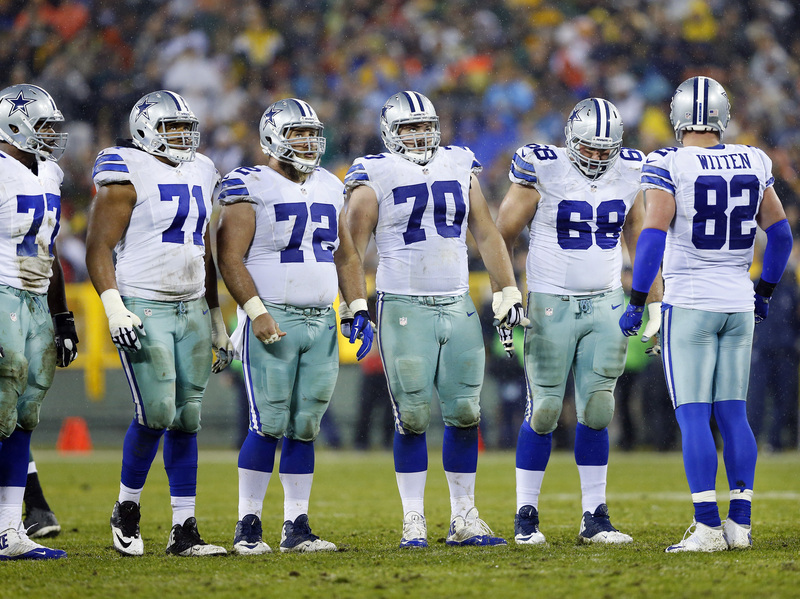 The Cowboys' offensive line should be just fine.